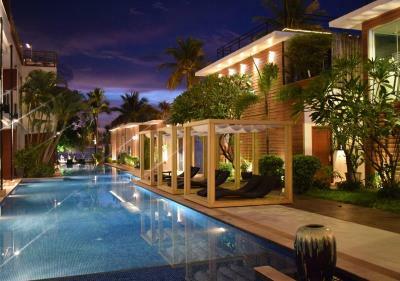 Lock in a great price for La Flora Resort Patong – rated 8.3 by recent guests! Great breakfast, the buffet was fantastic. Amazing service, really friendly and accomodating staff that made is feel very welcome and helped in any way they could. The pool was great being just outside the door and was very clean. 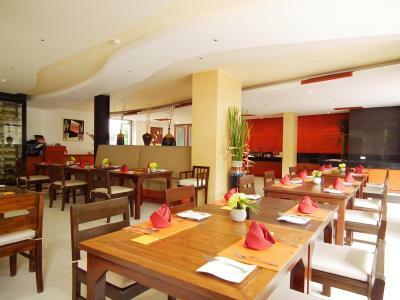 Great location, easy to walk in and out and straight into he night life, resturaunts and shopping. 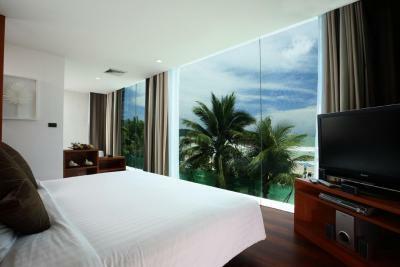 Location, cleanliness and accessibility to Patong Beach. The property is located right on the beach. Just keep in mind that vendors will bother you constantly to offer you goods or services. The beach looks nice very early in the morning, by 10am it’s packed with thousands of tourists. The water is dirty and I would not swim in it. Outstanding location!!! Close to everything. Quiet Hotel and direct beach access. Good sized rooms. Very friendly staff. Good breakfast. Loved everything about this hotel. La Flora Resort Patong This rating is a reflection of how the property compares to the industry standard when it comes to price, facilities and services available. It's based on a self-evaluation by the property. Use this rating to help choose your stay! 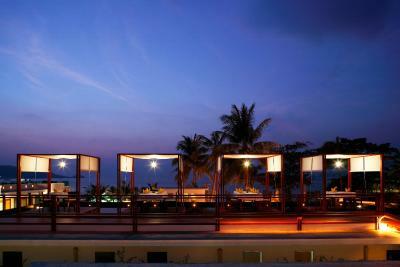 La Flora Resort Patong is a 5-minute stroll from Jungceylon Shopping Center and the nightlife of Bangla Road. 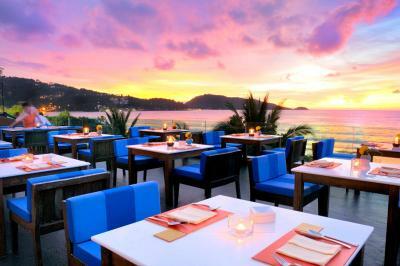 Phuket International Airport is a 50-minute drive away. Decorated with wooden furnishings and clear glass windows, rooms at La Flora Patong feature flat-screen TVs and DVD players. A mini-bar and tea/coffee making facilities are included. Select rooms come with private pools. 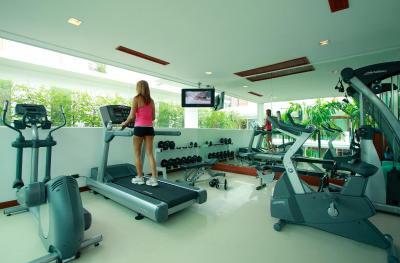 Guests at La Flora Patong can enjoy a traditional Thai massage, relax in the hot tub, or work out at the fitness center. 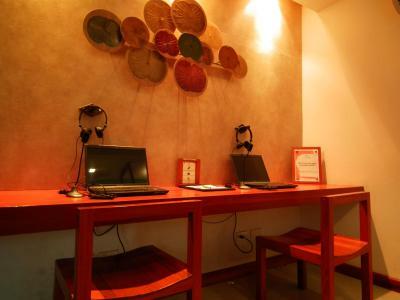 The resort also provides a tour desk and car rentals. 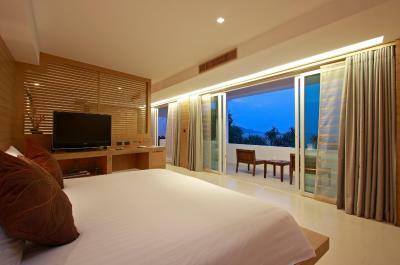 When would you like to stay at La Flora Resort Patong? On the second floor, room has a balcony and pool views. 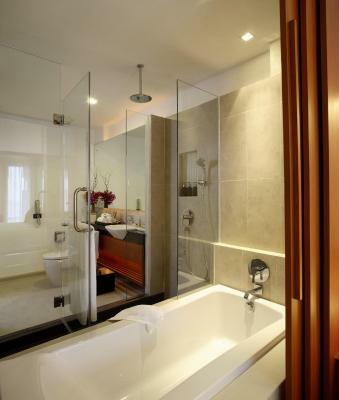 An private bathroom comes equipped with a walk-in shower and bathtub. 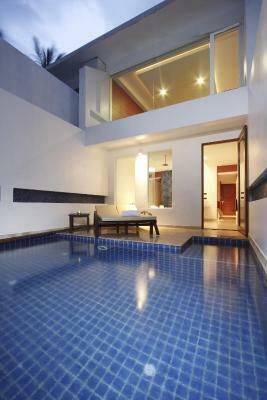 On the ground floor, room has direct pool access. 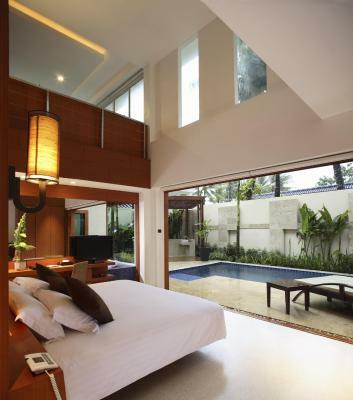 Villa features a private swimming pool and a home theater system. 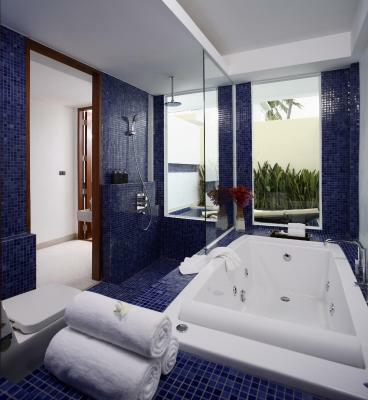 The bathroom comes equipped with a separate walk-in shower and a whirlpool bathtub. 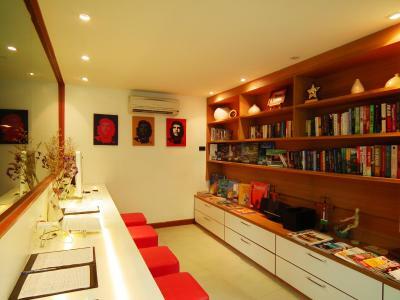 Located by the beach, villa features a private pool and a sofa with a home theater system. 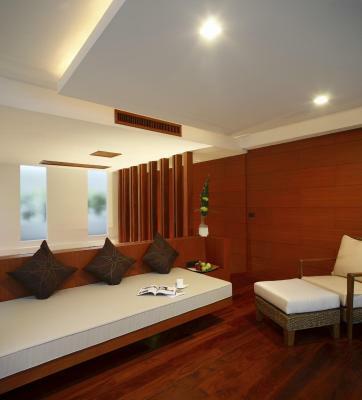 Located on the second floor, suite features views of the sea and a spa bath. There are also a flat-screen cable TV and home entertainment system with personal library of HD movies. 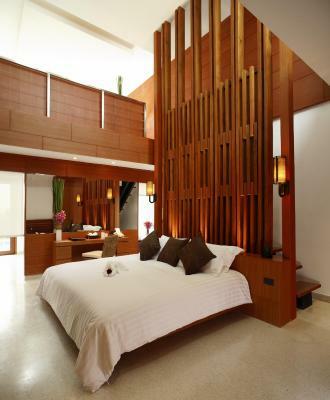 Offering a private pool with sundecks, this villa features a flat-screen cable TV, a sofa as well as air conditioning. 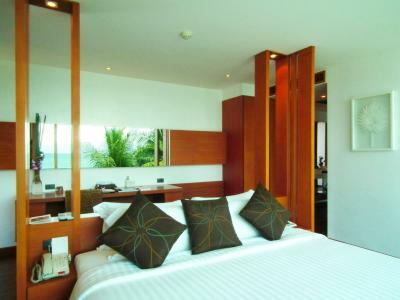 The La Flora Resort Patong has a modern unique style. 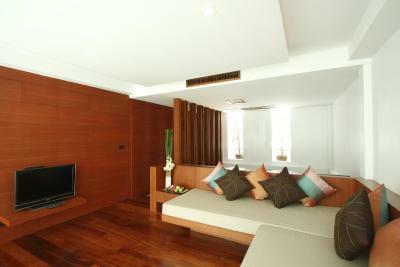 It is only the boutique resort in the central Patong Beach area that offers pool villas. This trendy resort showcases a high-end lifestyle. House Rules La Flora Resort Patong takes special requests – add in the next step! La Flora Resort Patong accepts these cards and reserves the right to temporarily hold an amount prior to arrival. The hotel staff are very warm and welcoming. Every time when you walk pass the reception, they will say hello with nice smile proactively. It was great experience. Room is clean and quiet even the hotel is located in downtown. The room was little dark and the lighting could have been better. The room had a slight musty smell to it but wasn’t overly bad. A few things could do with a touch of repair. Some bad smell in the washroom, may be drainage problem. Hotel requires some renovation. It is dark in the bathroom if you want to shave. Besides, I have no objections. Perfect localisation so close to the beach and to the maim streets. Fast wifi. My room was very silent because was near beach. I do not know situation in romms near road. Despite having a wonderful rooftop view, excellent service and nice cocktails, the restaurant menu wasn´t that good and, actually, it was the worst Pad Thai I had in Thailand. The staff is well trained and always smiling. They can book great tours at an affordable price. 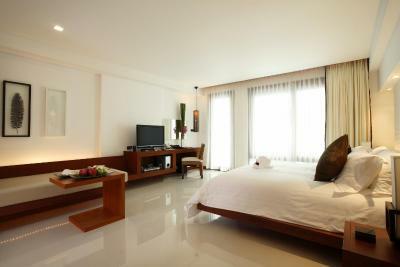 The room is very spacious and the bed is the best. Nicest shower I have ever had. The mini bar does not have many options, but there is plenty of juice, soft drinks, local beer and foreign beer. 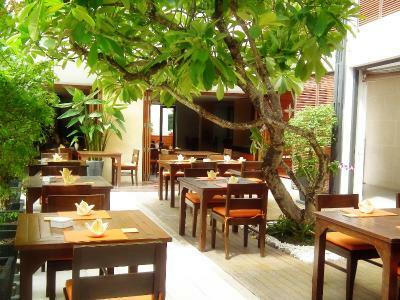 The breakfast has a variety of fruits, lots of typical foods and Western options for foreigners. The pools are not that big, but you can allways enjoy the ocean just a step away from your door. It sure is money well spent. The rooms by the pool are not sound proof. Some guests talk loudly at night which makes it not comfortable. Also, one of the rooms we booked had a bad smell and we needed to change it. Finally, the breakfast options are not many. The staff is friendly and helpful. Free mini bar. The location is very good. Had a problem with mosquitoes inside the room, also christmas dinner was very disappointing as original location as advertised changed and the food was cold and horrible as we paid high price for this dinner.